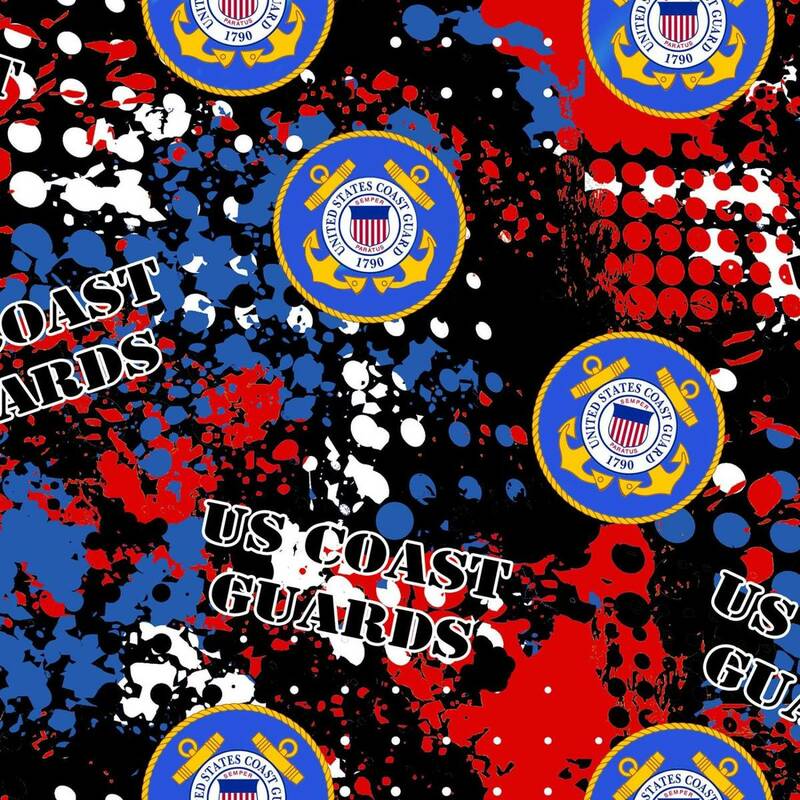 MILITARY PRINTS 1180-CG Coast Guard Insignia Black from Sykel Enterprises under license of the military. Military Prints feature the insignias, seals, and words common each branch of the United States military - Army, Navy, Marines, Coast Guard, and Air force. Perfect for a quilt that honors someone who has served or is currently serving. Quilting fabric, 100% cotton material, 43/44" wide.